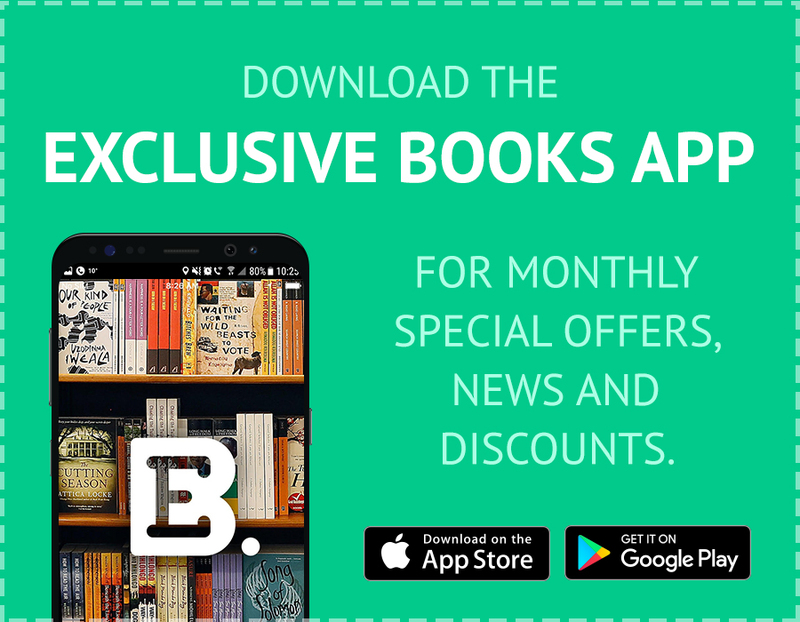 The Exclusive Books App – download it now for regular special offers for your next visit to Exclusive Books. Receive notifications of our promotions and sales, view our Top 10 best sellers or find an Exclusive Books store near you. You can also link your Fanatics membership to the app, which will keep a virtual Fanatics card handy for you; and you can check your Fanatics points and coupons straight from your phone. The app is available in both the Apple App Store and the Google Play store: simply click either icon from your smart phone to start your download. Need some help getting started? Here is our quick-start guide for setting up the Exclusive Books app – illustrated with handy gifs! After downloading the app, please register with your email address and mobile phone number; only registered members will have access to the app’s special offers. Don’t forget to enable notifications and location services, so we can send you special offers when you’re near an EB store Only users who have enabled location services will have access to news and offers; here’s how to enable location services on Apple/iOS devices; here’s how to enable location services on Android devices. Note that your EB App registration details don’t have to be the same as your EB Online profile details (if you’re registered with EB Online): just use the email address and password that are most handy. * Please note that coupons may only be used once. Once a coupon has been added to your online account you will no longer be able to use it in store. * Please note that no change will be given on coupons. * If you need any assistance obtaining your Fanatics information please contact customer care on +27 11 798 0111 or info@exclusivebooks.co.za. * Tip: Your favourites will appear in 3 categories – News & Offers, Categories and Find a Store. 2 Responses to The Exclusive Books App: Download It Now! Please keep an eye on our social media for sale announcements.